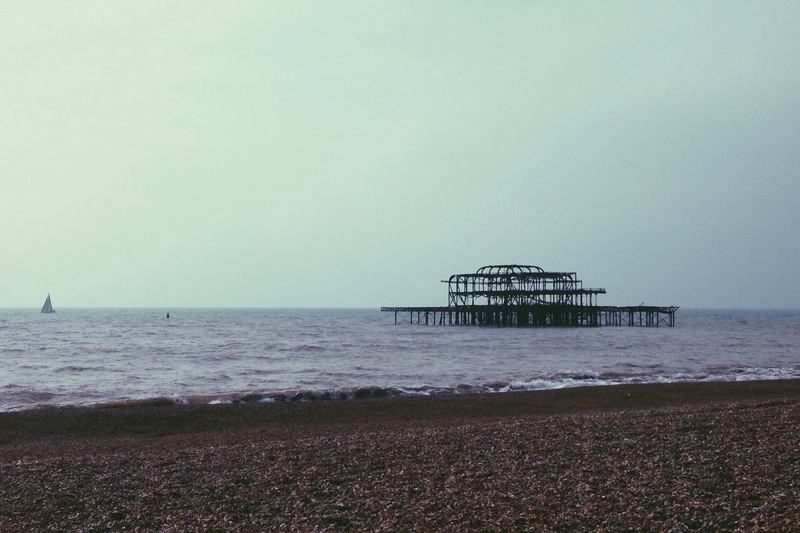 The west pier was originally opened in October 1866, and was closed in 1975. When it caught on fire in March 2003. Although over 10 years ago, I remember my dad taking me down to the beach with my first digital camera to capture pictures of what at the time was a lot more than what is left now. The beach was full of people watching to pick up washed up pieces of wood to keep and remember the pier. What is left now is less that the bare skeleton, the sea has taken prisoner any idea of it becoming a safe structure. It’s a shame that a great piece of Brighton’s history has been lost to Mother Nature. Make the most of things, because you don’t know how long it will last.